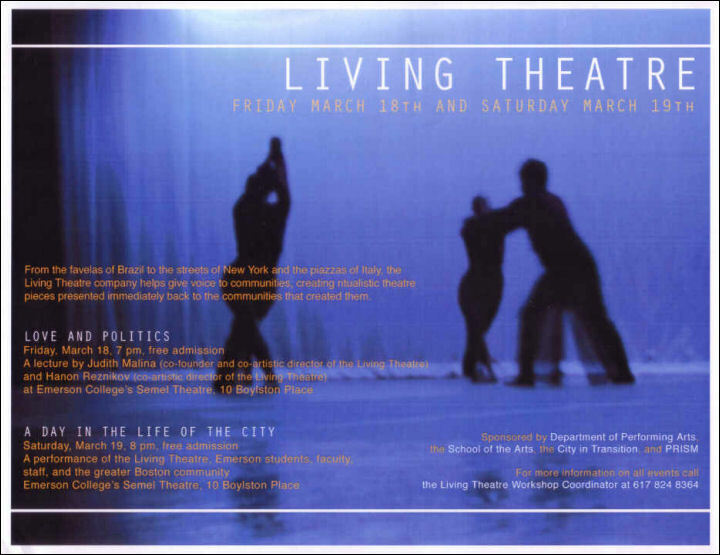 I am writing to thank you, Joanie, Bobby, and Tom for the Living Theatre Workshop's A Day in the Life of the City project at Emerson College, which was an incredible success for performers and audience this past March. The artistic challenges you proposed to the Emerson students, faculty, and Boston community members who participated in the workshop were thrilling, inspiring, and eye-opening. The week-long preparation process took full advantage ofthe skills and talent ofthe workshop participants, and pushed those elements to higher levels of artistic accomplishment, something which everyone concerned could see and feel. Above all, I was impressed with the artistic integrity and incredible value of the techniques you showed us and offered to us as tools, which we then learned to use with such great theatrical success. During the workshop process we learned about collective creation, biomechanics, Theater of Cruelty, and the efficacious possibilities of political theater, not simply as historical concepts, but as practical methods for twenty-first-century performance. This was invaluable for all ofus, because the normal course of theater education, even at an enlightened school such as Emerson College, rarely allows such extensive insight into these possibilities. 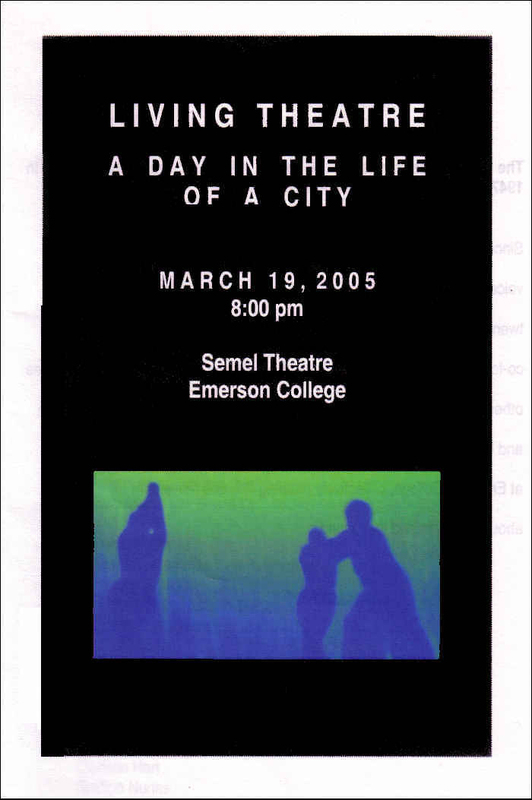 The culmination ofthis work, in the performance of A Day in the Life of the City was an amazing affirmation ofthe potential oftheater in 2005. The unanimous, vociferous, and heartfelt support ofthe audience, evident in the final moments of the play, when they all joined us onstage, was a thrilling achievement of dramatic art, and an invaluable lesson and example for all ofus which continues to inspire our work. 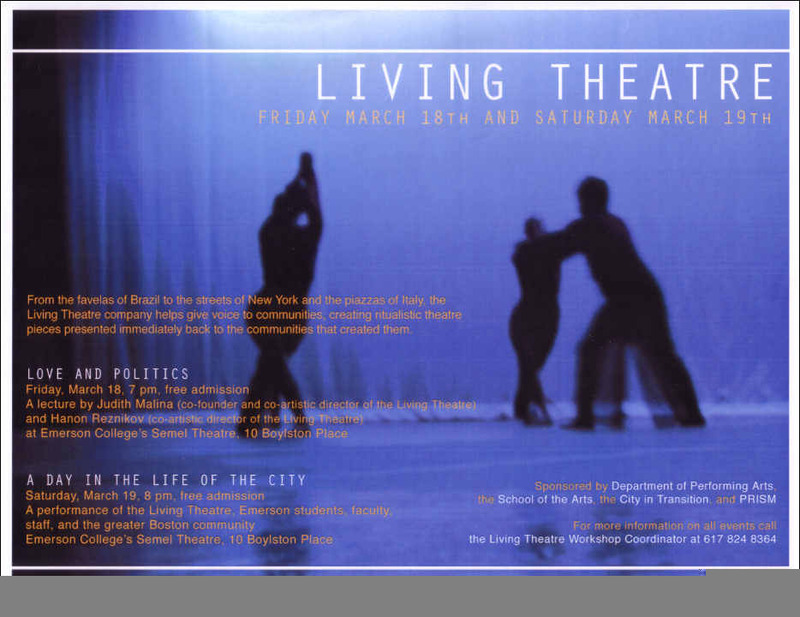 I thank you and the Living Theatre Workshop company heartily, and wish you the best of luck in your continuing endeavors. I would be happy to enthusiastically endorse the theatrical and educational value of your work to anyone who might be interested in bringing you to their campus or community. 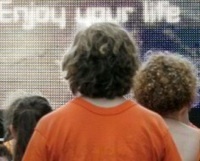 Please let me know if I can be of more assistance to you in your work.